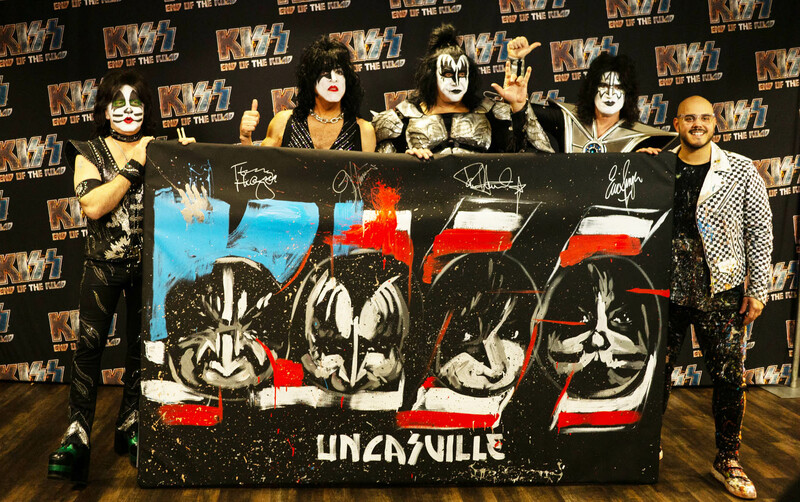 We kicked off the tour on January 31st and each night the “KISSTORY” city painting I create on stage is donated to a local charity. We’ve tracked those numbers from online and offline auctions, and so far we’ve helped raise over $200k. The true heroes are the ones who donate for these paintings. They’ve supported various organizations that help children’s charities, veterans, and more. My whole journey has been about using my platform to not only entertain but to also benefit people along the way. So I’m beyond excited for this opportunity as we continue to raise money for charities in each city we visit. The last tour date on this run is April 13th and we’ll keep you updated on the auctions and numbers as well. Went to Louisville kiss show. Would love a painting. Artlife 58885 502-295-9607.